This past Tuesday night, a buddy of mine invited me to an ISED (Iowans for Social & Economic Development) Event at the Corinthian Church downtown. It was a vendor show/networking extravaganza/graduation party all wrapped up into one. 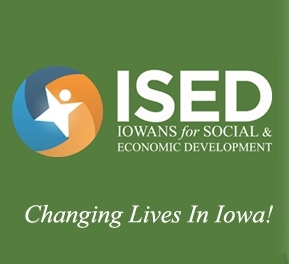 ISED offers several FREE programs and classes to small business owners and those considering becoming small business owners. They are starting a networking group called Alliance of Business Owners (ABO) and I just became a member. What a great way to keep your finger on the pulse of what’s up-and-coming in our community. What additional resources are you aware of that support and advise small business owners? Previous post: What Can You Give Away For Free?